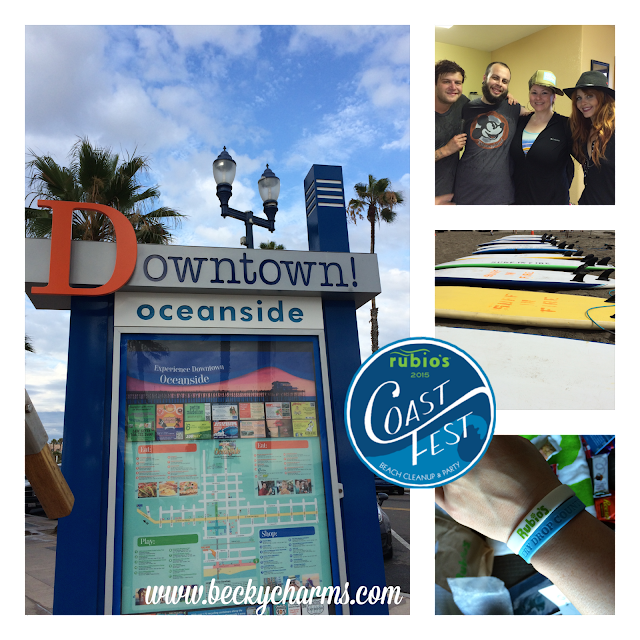 Last weekend was the 4th Annual Coast Fest, put on by Rubio's, along with some other great vendors and sponsors. 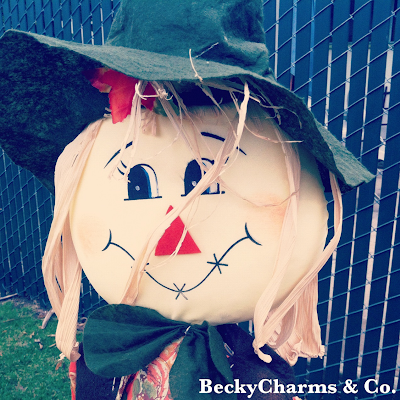 It was such a fantastic day! Of course I was there! Here is a recap of the event. Early morning, and the vendors are setting up for a busy day. Thousands of volunteers gather to help keep our beaches clean. Bags and bags of trash along with tons of recyclables are filled, which will stop future ocean pollution, thus saving the fishies. It's all good; all good, all good, all good. After the dirty work is done, we enter the after party with, you guessed it, fish tacos and other delectable items catered by our lovely host, Rubio's. Blue wristband = UNLIMITED TACOS!! I came for the free guac. Who are we kidding? Oh, hey Mr. Rubio.. What? Just call you Ralph? Sure, like no big deal. We're pretty much, partners now. Or, drinking buddies. Or posers, because.. we're.. posing. . . for this picture. Apparently. Three bands performed, singing to us sweet rain melodies, and sharing the good coastal vibes of an endless California summer. Broken Stems. Max and the Moon. The Mowgli's. About to take a free surf lesson, only available at the Coast Fest, the lightning started bolting and so did we.. away from the water. Lightning + Water = no bueno. Causing the Mowgli's to begin playing, and coincidentally ending, earlier than expected, the rain was.. electrifying.. literally. I heard that some members got zapped. Eek. 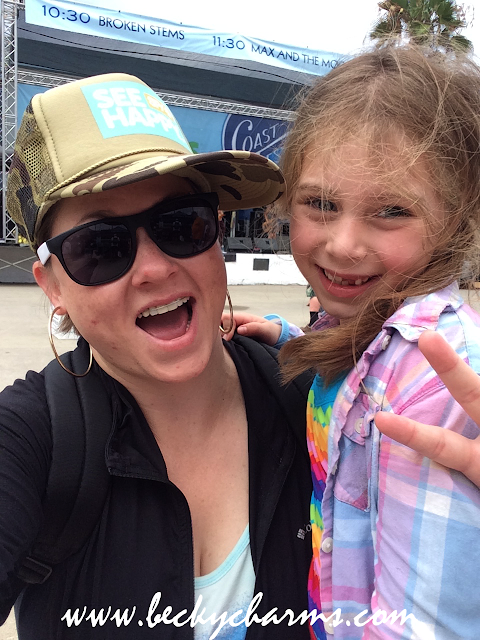 Their feel-good summer vibes were the happiest way to end the day; a day spent doing good for the ocean, good for the earth, good for the fish, and good for us. Rubio's knows how to get people outside and involved. One way. The best way. They invite us to the beach! There was a Kids' Zone, complete with entertainment specifically for the younger volunteers. My husband took our daughter over there. Unfortunately, I was unable to even get a glimpse due to the craziness of the rain and scrambling of people, but I look forward to experiencing it next year. Rumor has it they had giant bubbles, apple sauce pouches, and juice boxes!! Then we all got rained out, and the bubbles turned to foam and the kids went home. But, next year.. I can't wait for next year! It just keeps getting better and better. 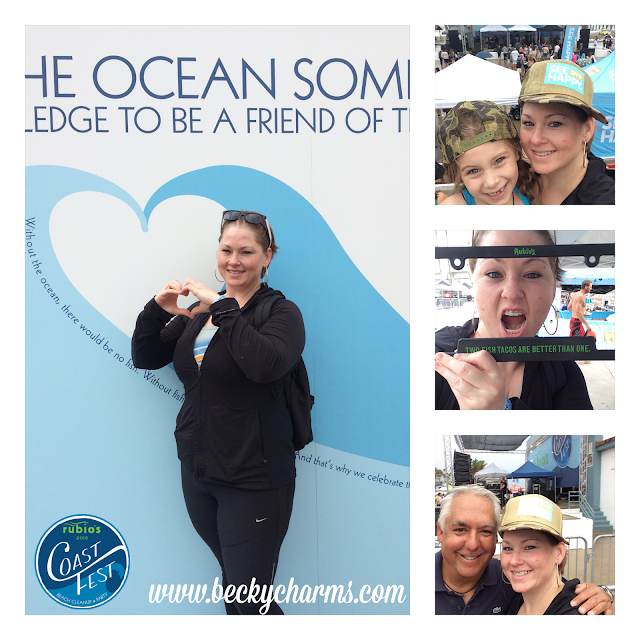 The event is well-organized, with plenty of delicious food, musical entertainment, great giveaways, and more; all in the name of ocean health! 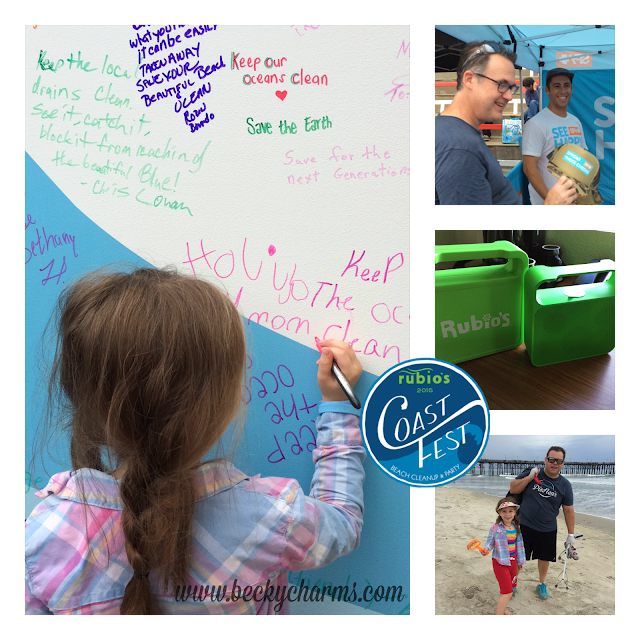 Only Rubio's could put on this Coast Fest and make it as awesome as it is for the love of clean beaches! The volunteers are pretty cool, too. 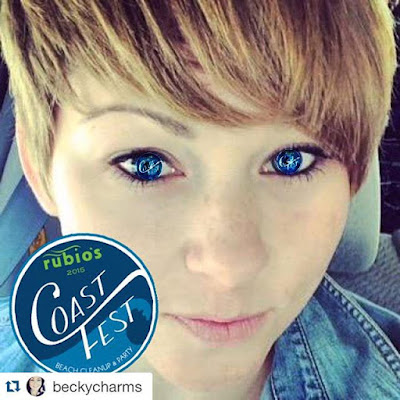 I want to thank Rubio's for inviting me to be their Coast Fest Correspondent this year. I had such an amazing weekend; from the stay at the Wyndham Oceanside Pier, to the beach clean up, to hosting their Instagram Takeover, to meeting the MOWGLI'S! Rubio's, your fish tacos get my thumbs up, every taco Tuesday! ...and that new tilapia, though. Whoa! 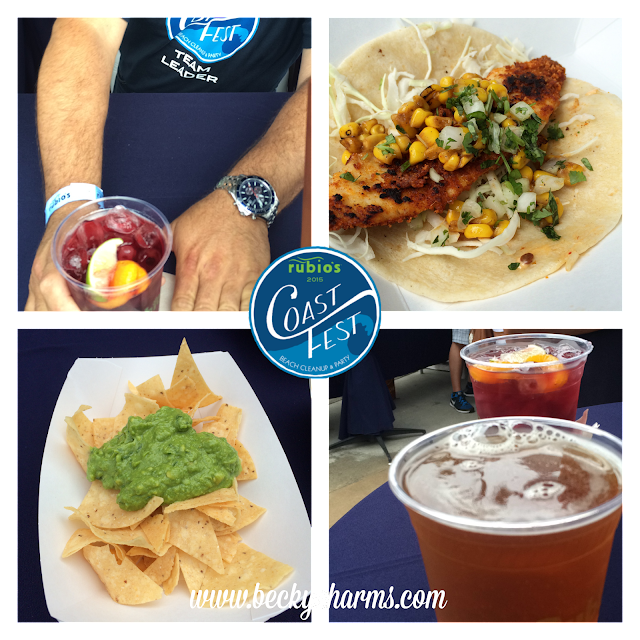 I partnered with Rubio's to be their 2015 Coast Fest Correspondent for the day, so I got some awesome swag and perks.